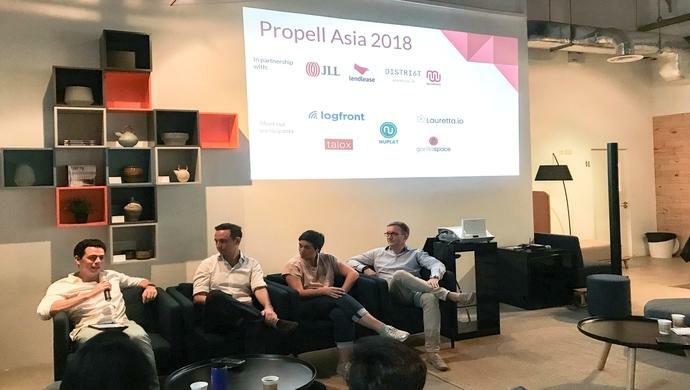 Real estate companies JLL and Lendlease just announced five selected startups to join Propell Asia, its first ever Singapore-based regional property technology (proptech) accelerator. Propell Asia was first launched in June and was a fruit of the two companies’ collaboration. The selected startups to join the program are mostly early-stage companies with commercial viability and scalability of their ideas with the consideration of each team’s strength and technical competency. The five startups have a range of property solutions including construction productivity to Internet of Things utilised for property. GorillaSpace: an online marketplace that provides tools that enable individuals and businesses to find and offer workspaces quickly and to make better decisions based on the transparent information. Lauretta.io: a prop-tech startup utilising AI and applying machine-learning to the management of physical infrastructure and manpower resources that enable property managers to transform their role from mere operators to service providers. Logfront: an IoT-powered facilities management platform that uses sensor analytics and machine learning to monitor the usage patterns of a facility and optimise maintenance frequency and deployment of field service workers. Nucon: an intelligence engine that provides machine learning services such as context-aware image analysis, speech recognition, dynamic translation, and conversational experiences that will provide businesses a building block for data analytics and modern applications. Talox: a Software-as-a-service (SaaS) leasing and asset management platform designed for landlords and agents of a commercial real estate to enable them to use the captured data to improve the performance and profitability of their assets and agents to provide more proactive leasing representation and faster deal execution. “The diversity of the selected startups will bring innovative ideas. Our goal is to help unlock their potential and provide an accelerated pathway for them to validate, commercialise, and scale their solutions,” said Tony Lombardo, Chief Executive Officer Asia of Lendlease. Lendlease’s partnership with JLL provides access through Propell Asia for startups to unlock real estate value chain such as investment, development, construction, brokerage, consulting and facilities, property management, and opportunities to test and validate products. The ten-week fast-track learning program will be based at District6, a co-working space in Bras Basah, Singapore. It will focus on real estate industry immersion and give startups access to a range of mentors that will provide guidance from planning to product, and strategy to execution with final stretch of the startups refining their minimum viable products and conducting Proofs of Concept on demo day. The post Five startups are joining the first ever proptech accelerator program Propell Asia appeared first on e27.